It is customary to observe certain conventions at all Bilderberg Conferences. Irrespective of their official positions, all participants attend in a strictly personal capacity. The meetings do not attempt to formulate policy or even reach conclusions, no resolutions are submitted for discussion or voted upon. The purpose of the debate is to present a comprehensive review of the problems on the Agenda, from which each participant is free to draw his own conclusions. It is hoped, however, that those who attend the meetings may be better equipped to use their influence to improve relations in the world. Fruitful discussion requires an atmosphere of mutual trust so that participants can express themselves frankly. For this reason, the press and public are excluded and neither background papers nor speeches are published. 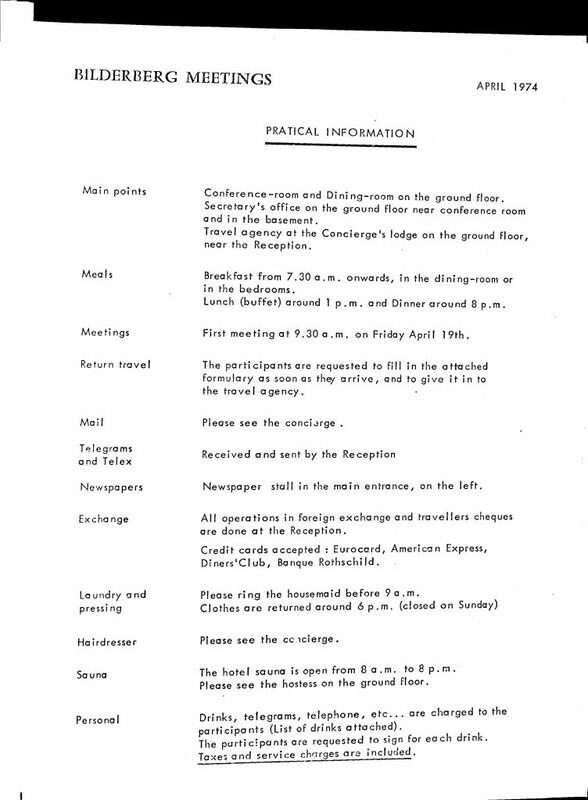 Moreover, all correspondence concerning Bilderberg should be considered personal and confidential. 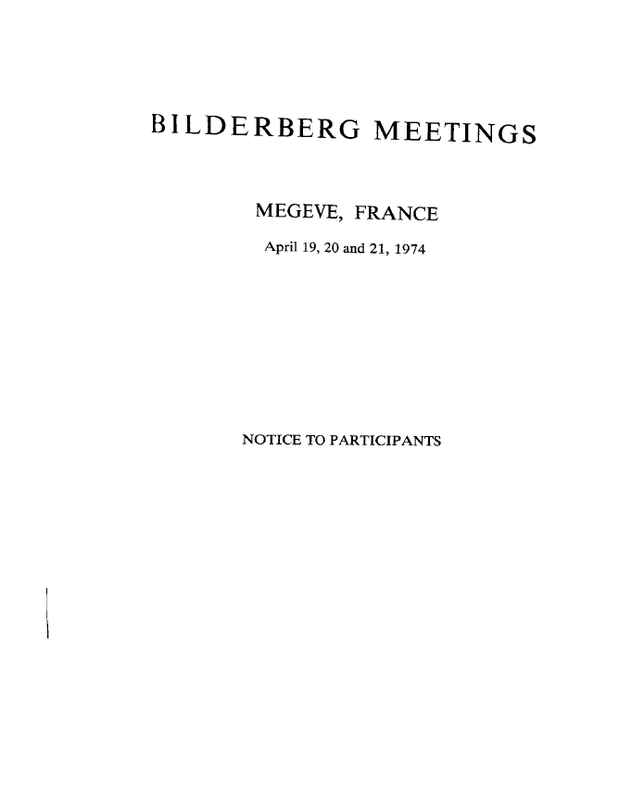 In the final report, which is circulated only to participants in the Bilderberg Meetings, opinions are summarized but speakers are not quoted by name. 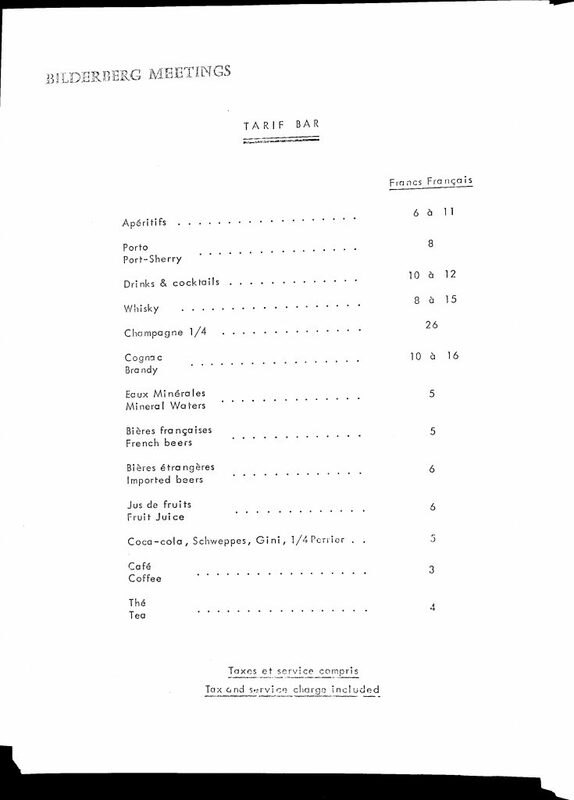 This report normally includes the names of all participants. Participants who would prefer that their names be omitted are asked to inform the Secretariat accordingly.